Eric Poses is owner and president of All Things Equal Inc., a company that develops, markets and distributes dozens of popular games, including “Loaded Questions” and the “Awkward Family Photos” board game. In 1997, Eric embarked on a 16-week, cross-country drive, selling Loaded Questions to retailers out of the trunk of his car. Recently, he reprised that journey, bringing his family along with him in an RV to visit retailers and game enthusiasts across the country. It’s been a long journey, but his tenacity has paid off. All Things Equal games are available at retailers, including Target, Toys R Us, Barnes & Noble, and Amazon, and hundreds of specialty stores and websites. I invited Eric to Marketing Smarts to talk about how he got started in games, how the marketing landscape has changed since he had his first big idea, and whether he’d use crowdfunding if he were launching his first game today. Along the way, we touch on social media, content marketing, the continued relevance of events and traditional channels, and much more. Embrace new and emerging technologies—like crowdfunding—to launch new products (08:58): “Over the course of the last 18 years, I’ve invented maybe 20 different games. I happen to love the Kickstarter model, even though I haven’t used it. I know it’s been successful for a lot of new companies, and some old companies that have transitioned to this new way of financing an initial production run…. I’ve tinkered with the idea of doing a Kickstarter campaign, but it’s a little self-serving. When focus groups tell you that your product idea’s not a winner, listen (21:55): “With every game I develop, we do pretty extensive game-play sessions. We contact meet-up groups locally. We have people we’ve found through Craigslist. We’ll interview people, have people sign nondisclosure agreements, and fill out forms of how the game play session went, but we’ll bring people to our office all the time while we’re trying out new games and get feedback…. 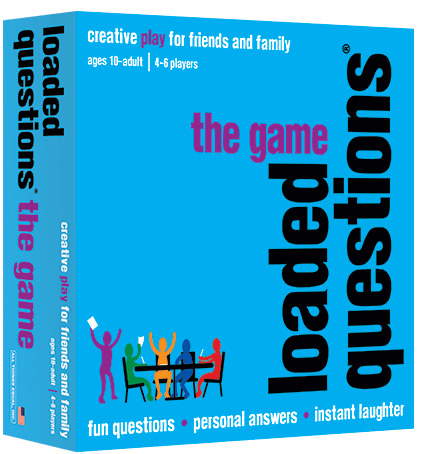 Learn more about Loaded Questions at LoadedQuestions.com, or check out the Loaded Questions Facebook page. Eric and I talked about much more, so be sure to listen to the entire show, which you can do above, or download the mp3 and listen at your convenience. Of course, you can also subscribe to the Marketing Smarts podcast in iTunes or via RSS and never miss an episode! Eric Poses, owner and president at game company All Things Equal Inc., creator of the popular board game “Loaded Questions” and dozens of other games. Follow Loaded Questions on Facebook. Kerry O’Shea Gorgone is instructional design manager of enterprise training at MarketingProfs. She’s also a speaker, writer, attorney, and educator. She hosts and produces the weekly Marketing Smarts podcast. To contact Kerry about being a guest on Marketing Smarts, send her an email, or you can find her on Twitter (@KerryGorgone), Google+, and her personal blog.